Rhode Island's Only Training Center For Athletes! Congratulations! You have just taken your first, and most important, step in developing a new you. 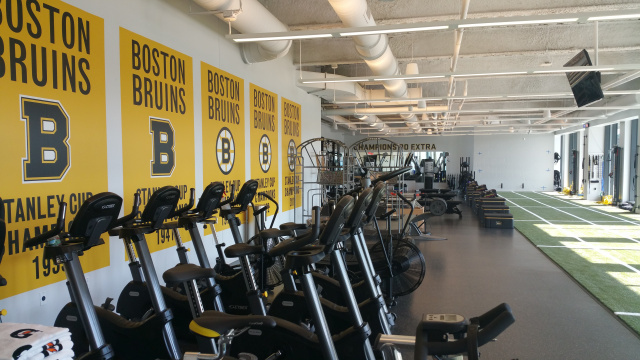 The NEST is Rhode Island's only training facility dedicated to helping athletes perform better, prevent injuries, and build confidence. What sets us aside from everyone else? "Through the use of functional exercise, qualified exercise Professionals, and 'results-oriented' programming, the NEST is committed to developing well conditioned athletes, making them less susceptible to injury, and helping them become the best that they can be." With 6-week programs starting as low as $135, you too, can join the areas top Professional, Olympic, collegiate, high school, and youth athletes in choosing NEST to stay one step ahead of the competition! Don't wait! Call today, and set up a facility tour to get an inside look at the "Secret Weapon" Rhode Island's top athletes are already using. COME IN TODAY IF YOU ARE READY TO GET SERIOUS ABOUT BEING YOUR BEST SELF!